April 5th is Chinese QingMing Festival – Tomb Sweeping Holiday. We will be on holiday since 4th April to 6th, totally three days holiday. During holiday buyers can checkout normally but shipment will be made on 7th April. Here are more informations about this Chinese holiday. Qingming Festival, also called Tomb Sweeping Day or Pure Brightness in English, usually falls around April 4 or 5, the beginning of one of the 24 solar terms on the traditional Chinese calendar called Qingming (清明). It is also a time for people to go outside and start enjoying the greenery of spring. 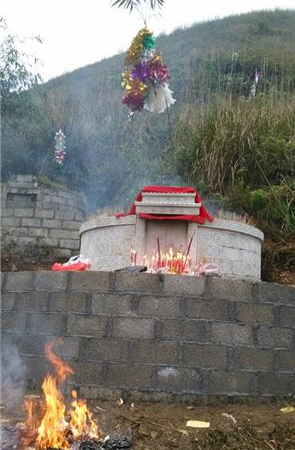 With social and economic change, this festival is still a traditional one for most people (including the Han Chinese and China’s 55 other ethnic minorities) to go and sweep tombs and commemorate their ancestors. On this day, tomb sweeping, also called Shang Fen (上坟 ‘mounting a grave’) is one of the most important and popular activities to show respect to ancestors. On May 20, 2006, the festival was listed as one of the first national intangible cultural heritage events. 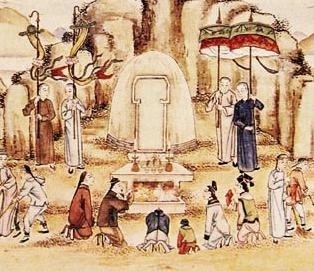 Tomb Sweeping Day, with a long history of more than 2,500 years, originated from the extravagant and ostentatiously expensive ceremonies that many ancient emperors and wealthy officials held in honor of their ancestors. Emperor Xuanzong of the Tang Dynasty (618-907), seeking to curb this practice, declared that respect could only be paid formally at ancestors’ graves on the day of the Qingming solar term. The observance of the rule gradually found a firm place in both royal and common families and continued for over two millennia. The day before Tomb Sweeping Day was the traditional Chinese Cold Food Day when people used no fire throughout the day, ate only cold food as a result, and swept their ancestors’ tombs. As time passed, the two festivals were gradually combined into one. Legend has it that a severe fight ensued for royalty succession in the Jin States during the era of the Spring and Autumn Period and the Warring States Period. A prince named Chong’er survived and escaped the fight, and began his 19-year exile with his followers. One day, when Prince Chong’er was about to starve to death, a follower named Jie Zhitui secretly cut a piece of flesh from his thigh and cooked it into a meat soup, which saved the prince. Chong’er wondered where Jie had obtained the soup. When he found out what Jie had done, the prince was so moved that he promised to reward him one day. Nineteen years later, Prince Chong’er returned to his kingdom and took power as Duke Wen of the Jin State, one of the five hegemons of the Spring and Autumn Period. After taking power, Duke Wen greatly awarded and honored all of his followers, but he forgot Jie Zhitui, the man who once saved his life. When others spoke of Jie Zhitui, Duke Wen remembered him and was ashamed. He immediately sent his servants to invite Jie Zhitui and conferred him with a title. However, Jie Zhitui refused resolutely because he was not the type of person who sought rewards. Instead, he just wanted to help the prince return to Jin to become a duke. Then, the duke decided to come personally but before he arrived, Jie Zhitui heard the news and hid on a nearby mountain with his aged mother. Jie Zhitui refused to see the prince, and no one could find him in his hiding spot on the mountain.Duke Wen ordered to set the mountain on fire to force Jie Zhitui out of hiding. Three days and nights later, the duke and his people found two dead bodies; that of Jie Zhitui and his mother, in a cave under a willow tree on the mountain. In honor of Jie Zhitui, a man who never sought fame and profit, Duke Wen buried him and his mother respectfully, held a memorial ceremony for the tomb, and ordered his subjects to use no fire and eat cold food on that day. The mountain is now called “Mianshan Mountain” (check outPingyao Classic Tour with Mianshan Combo). The next year, Duke Wen climbed the mountain to commemorate Jie Zhitui. When arriving at the tomb, he saw the burnt willow tree revived with lush leaves and branches and remembered Jie Zhitui’s noble character. He was so moved that he swept the tomb and declared the festival as Qingming Festival. Later, Duke Wen built an honest, diligent, pragmatic, and efficient government during his reign. 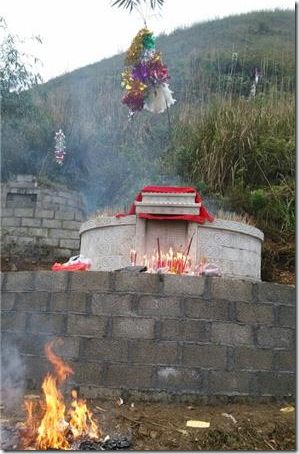 Because of his great contribution to Jin State, people there stopped using fire, swept the tombs of their ancestors, and offered food, tea, wine, chopsticks, joss paper accessories, or libations to their ancestors to remember and honor Jie Zhitui. In addition, willow branches are placed on gates or front doors of houses to beckon Jie Zhitui’s soul and to ward off the evil spirits that around wander on Qingming. Today, residents in the north usually eat cold prepared food such as date cake and wheat cake, while people in the south prefer lotus roots stuffed with glutinous rice and green cake. Tomb Sweeping Day is a time for various activities. The more popular ones are tomb sweeping, spring outings, and kite flying. Some other lost customs, such as putting willow branches on gates and riding on swings, have been an important part of this festival since the beginning. Moreover, people often participate in a sport to ward off the cold and in anticipation of the arrival of spring. In a word, the festival integrates both sadness and happiness through its history as well as its customs.